Watch 300DDR’s masterful data recovery technicians delicately swap the heads between two hard drives (a “head swap”) within an ISO Class 5 cleanroom. Notice our technician carefully removing the hard drive covers. Then remove the screws securing the hard drive magnets and head connectors. Our tech then uses a tools specifically created for this model hard drive. He places the tool on the heads to protect them once removed (to ensure the heads do not crash into each other). The magnets are then removed and heads transplanted. The hard drive magnet, head connector, and screws are returned to the drive and cover replaced. This drive was $100 recovered! 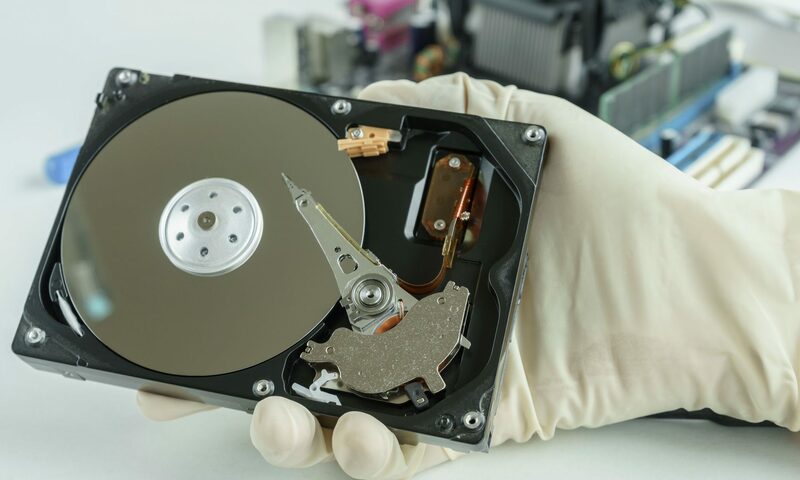 This $300 Data Recovery video demonstrates a “head swap” on a drive with a “click of death” failure inside our cleanroom. See what happens in our data recovery laboratory (note: things have changed a bit, as this is from several years ago, but you’ll get an idea as to what things look like). See how we connected 16 drives from a failed RAID and recovered all our customers data at a fraction the cost other data recovery companies charge.